Atypical, not classifiable and deliberately on the margins of the dominant models, the art of Johan Muyle. 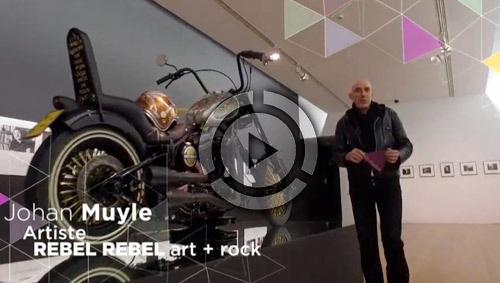 Contemporary Belgian artist who for more than 20 years create a complex work that combines symbolic suggestions and wonder generated by the sequences of his animated sculptures. 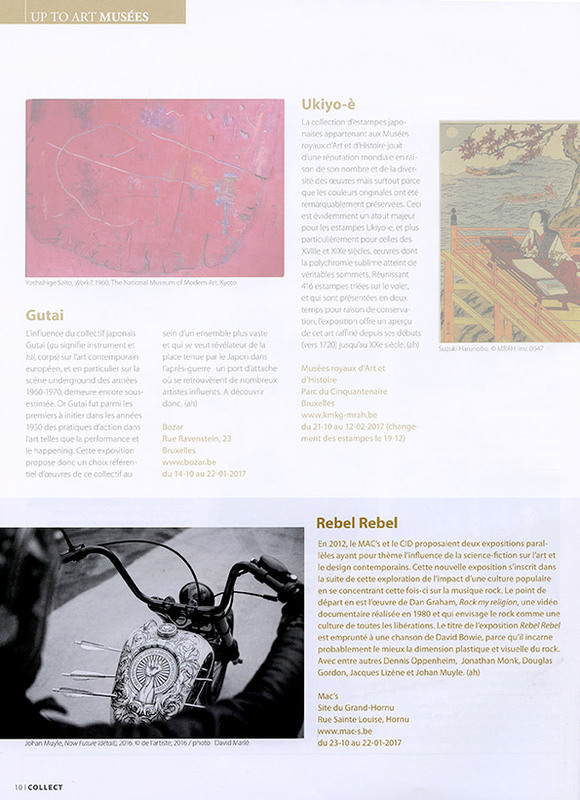 He develops through various artistic disciplines a singular sculptural approach animated by a profound reflection on the rapid change of the contemporary world. From 23 October 2016 until 22 January 2017 the MAC's Museum at the Contemporary Arts at the former coal mine of the Grand-Hornu of Mons in Belgium, a place decreed as the tourist center of international importance, hosts the event "REBEL REBEL". 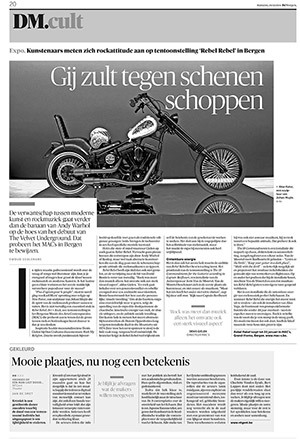 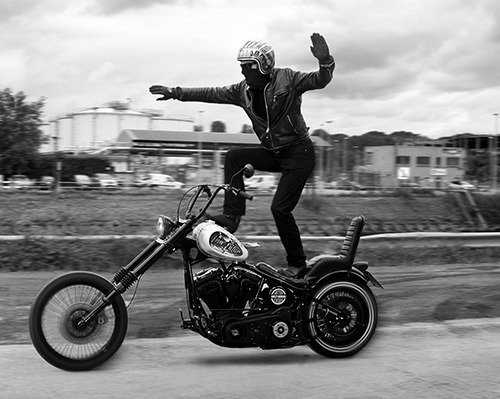 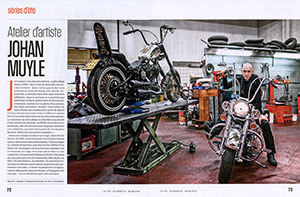 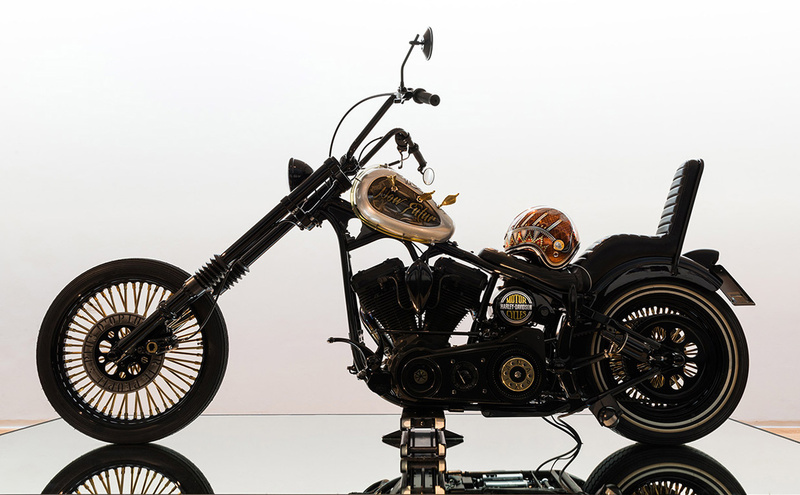 In the exhibition the singular "Now Futur" artwork: an Harley Davidson chopper designed by the Belgian artist. 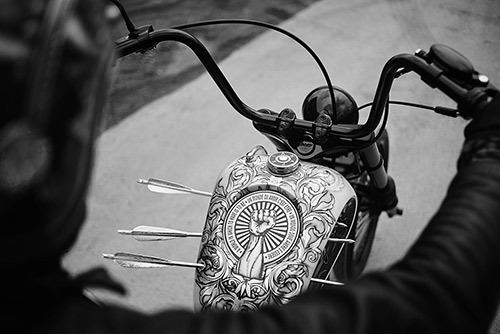 The pictorial parts created on the unmistakable "Indian Larry" model tank were created by the Unexpected Custom artistic staff in a wonderful "four hands" performance with the artist Johan Muyle. 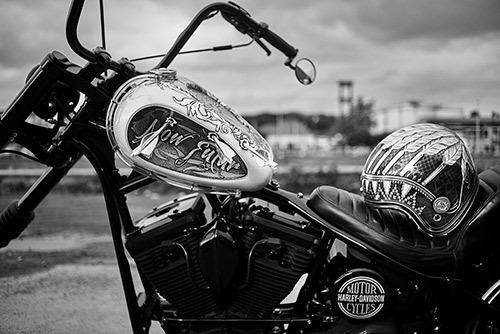 In the installation the special-bike has been enriched in its symbolic-semantic meaning, accompanied by a helmet made with a specially designed variant of the "Indian" design by Unexpected Custom.